Over the last few years the Marriott Grand Cayman has totally surpassed expectations and really raised the bar for hospitality, events and entertainment for locals and Cayman visitors alike. Rightfully so, they've gained a strong following because of this. Once I heard they were opening a new shop I knew Laura Skec, Nico Franco and their uber talented team would knock it out the park. But I had no idea how far they could knock it! 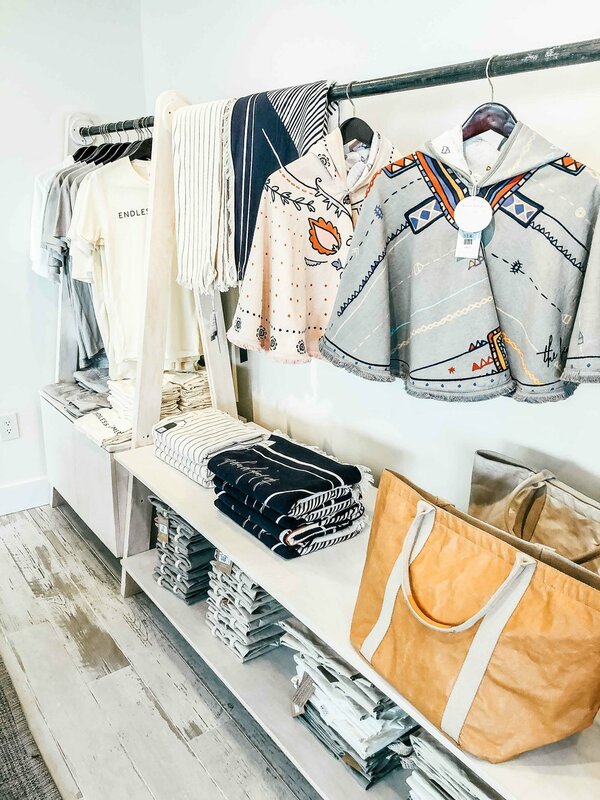 Introducing the Beach House Mercantile, a clothing and accessories boutique for your endless summer. It's bold, elegant, fresh and fun; of course I wanted to take it all home (including the custom made marble tables, hessian and wire baskets and industrial wall hangings. 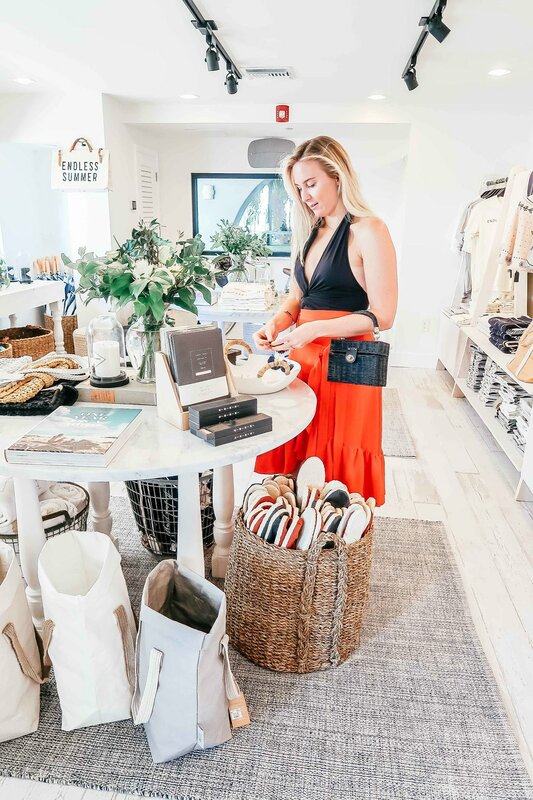 With it's namesake's French and Italian roots, the boutique combines a European style shopping experience with that which you might expect to find in LA or the Hamptons - it's so exciting to have it here in Cayman. The Mercantile brings together well established brands like The Monocle Guides for amazing hard back reads, The Beach People for the most decadent beach towels and The Public Supply Co for beautiful notebooks, making it easy to shop for birthdays or affordable treats under one roof. What they've also done so well is incorporate newer, less well known brands like Coralie Reiter jewellery and Forestbound custom bags to widen your local shopping horizons at prices you can afford (ranging from $50-$150). The boutique carefully balances the need to supply island essentials like Sun Bum sunblock, Peripheral sunglasses and The Beach People beach towels with sophisticated souvenirs or gifts such as The Beach House candle, qwirky t-shirts, kidswear and accessories. The shopping is both practical and fun without breaking the bank; a killer combination that has my heart. I am so excited and thankful to brands like the Marriott for continually pushing the envelope on what is available locally, always with their stunning interior design and creative eye in all that they do! Sign up to receive the latest Lustic Life news from Cayman and beyond. Ain't got no time for spam.